I've gone to Xanh Bistro almost everytime I'm down in the area, thanks to Wandering Chopsticks taking me and inomthings here. That said, I've never had any of their savory food. At all. It's always been a dessert stop for us. The dessert menu is small yet offers an interesting, asian take on the "classics." Some of them just involves an unsurprising flavor infusion such as the coconut crème brulée, or a chocolate molten cake served with ginger ice cream. 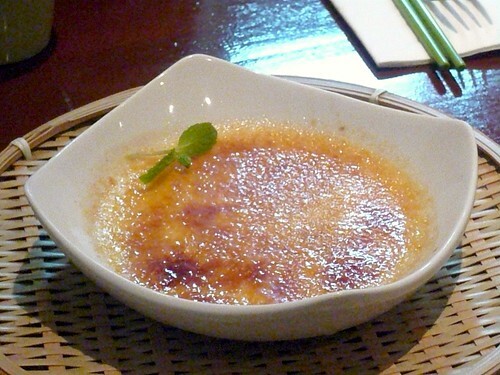 The coconut crème brulée, albeit the simplest, has now turned out to be our favorite. 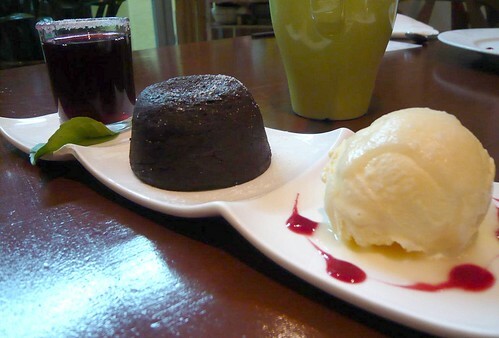 The molten cake is also good and goes well with the ginger ice cream, but the shot of sweet hibiscus "tea" that comes with it doesn't complement the dish and was too sweet and wholly unnecessary. On the more interesting and unexpected side was a sticky rice dessert topped with mocha mousse and spicy chocolate sauce. This dessert had quite an interesting texture which I enjoyed. The chewy sticky rice with the light mocha mousse worked better than I expected. Go a step beyond people's comfort zone and you can get their Durian "Parfait" (I put that in quotation mark because it really isn't in any way "parfait"). 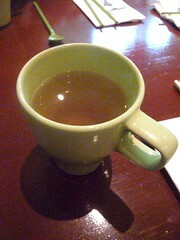 The strong durian aroma is definitely there, though not all that "bad"/overwhelming. 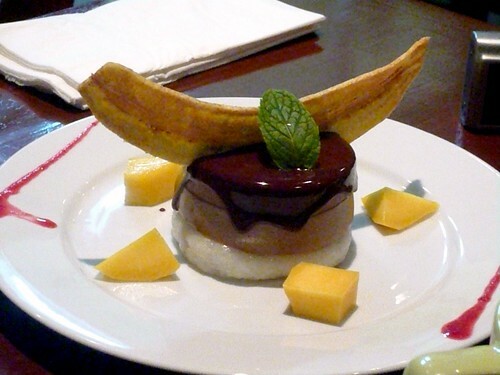 If you're unitiated, I advise you to avoid this dessert. If you love durian, then definitely go for it. 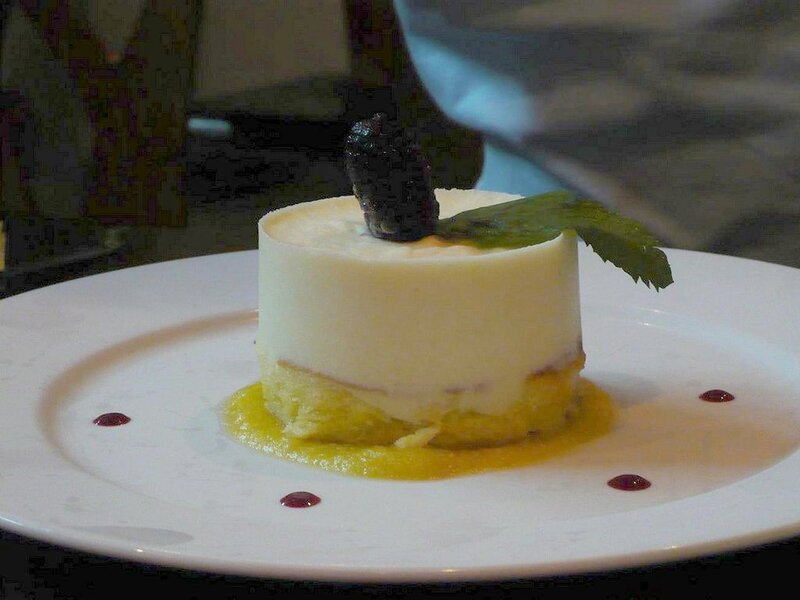 A bit of cake is topped with a light and airy durian mousse, served with passionfruit sauce on the bottom. The dominant flavor and aroma is of course the durian though. You've been warned. The best part of eating dessert there? Any of them can be enjoyed with a cup of hot lemongrass tea. Distinctly fragrant and warming, it's the best accompaniment to these desserts.